Africa has the largest population of young people in the world, some 200 million aged between 15 and 24. Despite impressive growth over the past 25 years, the job market is depressed and youth unemployment continues to rise. Young people account for 60% of Africa’s unemployment. Sandiso Sibisi, United Nations Development Programme (UNDP) Open Innovation Africa Lead, says youth employment could drive economic development in Africa if we invest in the youth. Entrepreneurship may be key to helping Africa out of poverty. “Entrepreneurship has the potential to create millions of jobs in Africa and youth entrepreneurs may bring about the positive change we urgently need. However, although more and more youth are looking into entrepreneurship, there are many challenges facing this sector such as the lack of access to information, finance, networking and mentoring. These four pillars are critical in modern-day entrepreneurship,” says Sandiso. Trust, says Sandiso, is the most crucial element of mentoring. In the past, a mentoring relationship would have been established over a period of time through a structured process, but today this happens in the virtual world. “It has become increasingly difficult to build trust without physical face to face interaction. Entrepreneurs are sceptical and are unlikely to share details or sensitive information with a mentor on the internet without being able to trust that person first,” says Sandiso. Virtual networking is challenging because a growing number of business networks only want to support mature entrepreneurs rather than the youth. “This has resulted in minimal opportunities for young entrepreneurs. 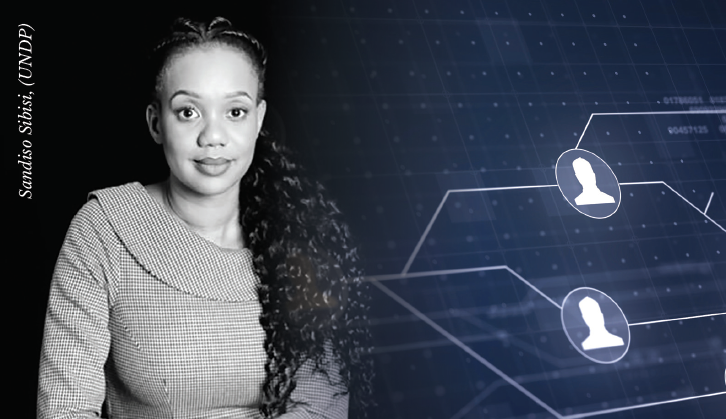 There are a few fellowships with a virtual presence in Africa, but they are not enough for the kind of networking that is needed,” says Sandiso. Financial transactions require physical presence and face to face interaction. Sandiso adds that some initiatives provide online support from potential capital providers. The majority of youth entrepreneurship initiatives provide advisory services and information, but the information tends to be outdated after a short period of time. To help young entrepreneurs overcome their broad and varied challenges, the United Nations Development Programme (UNDP) Regional Service Centre in Africa engaged digitisation company, Accenture, to implement a pan-African entrepreneurship portal called YAS (Youth for Africa and Sustainable Development Goals) to address the four main pillars for the betterment of Africa and its youth. “The objective is to help young entrepreneurs move away from being jobseekers to becoming job creators. Youth employment has the capacity to drive economic development and it is therefore critical that all sectors work together to improve access to finance and skills so that these youths have the tools they need to build and develop a sustainable Africa,” concludes Sandiso. For more information, contact UNDP Africa via www.africa.undp.org.